On the User Stories list displayed on the TASKBOARD page, on the right side of the subject of the User Story to which you want to add the new Tasks, click . 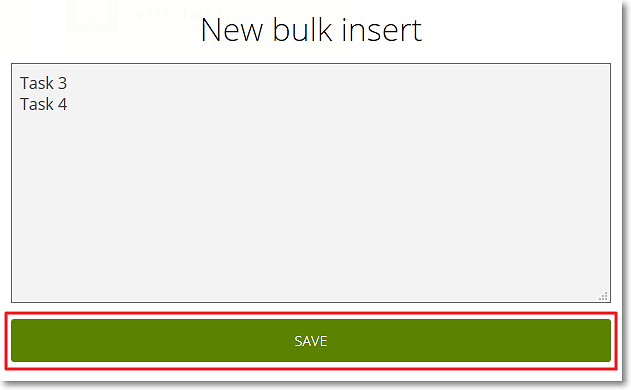 On the New bulk insert form, enter the Subjects of the new Tasks, one Subject per line, and then click SAVE. 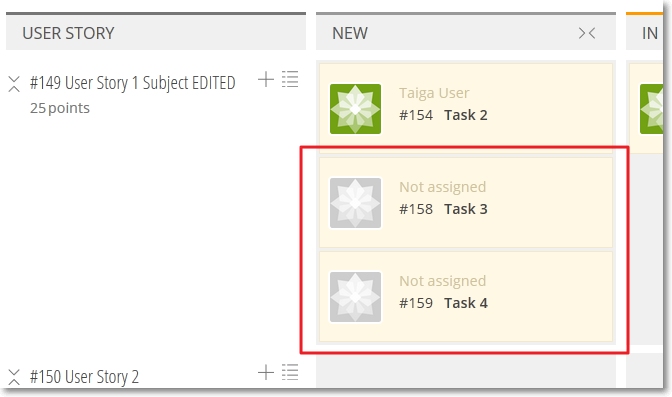 The new Tasks are added on the first Status column of the KANBAN chart displayed on the TASKBOARD page, on the row of the User Story to which they now belong. After you add Tasks in bulk to a User Story, you can manage each new Task and set it up as needed. For more details about managing a Task, you can go to Managing a Task from the TASKBOARD.